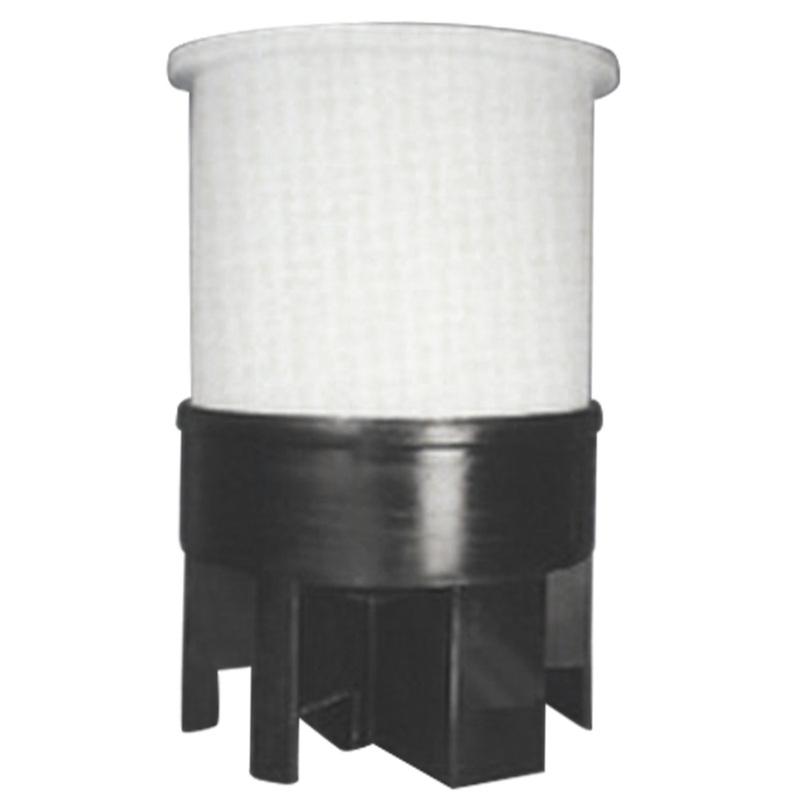 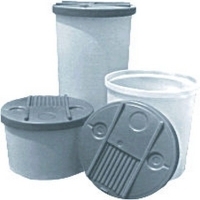 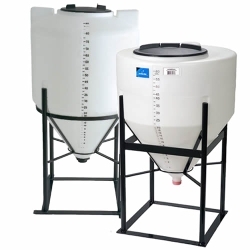 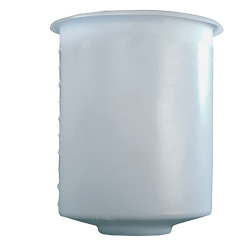 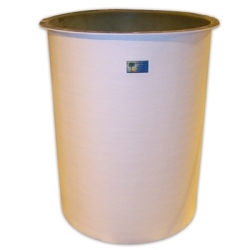 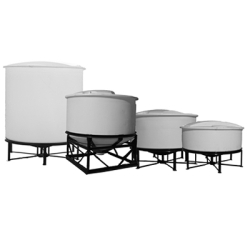 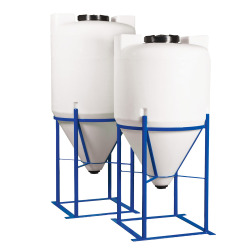 Cylindrical Cone Bottom Open Top Tanks with Support Stands | U.S. 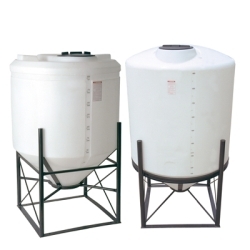 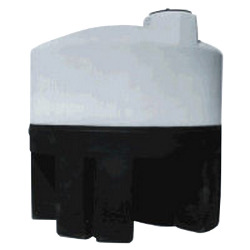 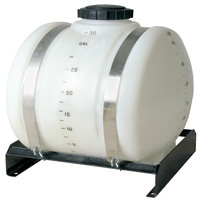 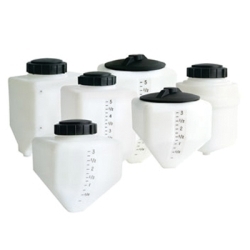 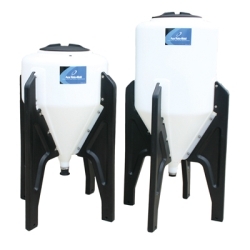 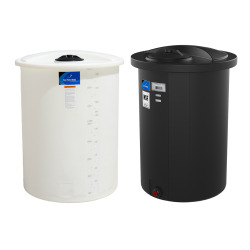 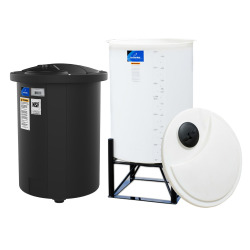 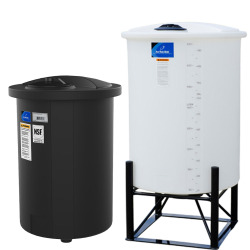 Plastic Corp.
Made with translucent high density polyethylene, these tanks eliminate rust and corrosion problems. 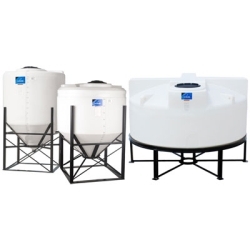 Distance from cone bottom to floor 11"
10 Gallon Open Top Cone Bottom Tank with Stand - 15" x 28"
15 Gallon Open Top Cone Bottom Tank with Stand - 15" x 30"
30 Gallon Open Top Cone Bottom Tank with Stand - 18" x 40"
55 Gallon Open Top Cone Bottom Tank with Stand - 22" x 47"
75 Gallon Open Top Cone Bottom Tank with Stand - 30" x 35"
100 Gallon Open Top Cone Bottom Tank with Stand - 30" x 48"
125 Gallon Open Top Cone Bottom Tank with Stand - 42" x 35"
200 Gallon Open Top Cone Bottom Tank with Stand - 31" x 75"
250 Gallon Open Top Cone Bottom Tank with Stand - 42" x 57"
350 Gallon Open Top Cone Bottom Tank with Stand - 42" x 70"
Cover for 55 Gallon Tank 22" x 47"
Cover for 75 Gallon Tank 30" x 35"
Cover for 100 Gallon Tank 30" x 48"
Cover for 125 Gallon Tank 42" x 35"
Cover For 200 Gallon Tank 31" x 75"
Cover for 350 Gallon Tank 42" x 70"